Galleon Systems MSF, WWVB, DCF and GPS time server provide accurate, reliable and secure timing information to PC's and other time critical devices including atomic wall clock units. 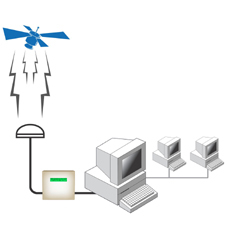 The servers utilse MSF, WWVB, DCF radio or GPS time sources to provide highly accurate time references. Depending on time source and operating system, a jitter of less than 50 microseconds can be typically acheived. The units are highly reliable, reflected in the provision of a 3 year warranty. 12 Channel GPS Time Server. Drivers to Synchronise Windows 2000/NT/XP/2003/Vista, Linux and Unix, including NTP. Drivers to Synchronise Windows 2000/NT/XP/2003, Linux and Unix, including NTP. MSF, WWVB and DCF Radio Time Code Receiver. 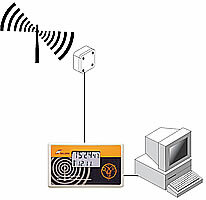 Weather-Proof MSF, WWVB and DCF Radio Time Code Receiver. http://www.worldtimeserver.com Provides current time and also timezone and daylight saving information worldwide, along with many other usefull facts. https://tf.nist.gov/service/time-servers.html Lists of NIST internet time servers. The table lists each server's name, IP address, and location. http://ntp.isc.org This web-based collaboration area provides lists of Network Time Protocol (NTP) public time servers. NTP users looking for information about installing, configuring, etc.